If you are an iPhone user and you want new apps to download in your phone from free of cost then you are at right page. Today I will tell you how to Install iOS 9 vShare without Jailbreak in your Apple iPhone or iPad for free. 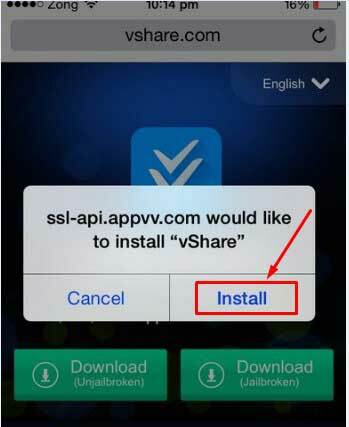 This is a so easy method from which you can Download and Install iOS 9 vShare on you device. According to my view vShare is the best by which you can get all the apps free for your iPhone or iPad including the paid apps. From this process, you don’t need to Jailbreak your phone. Vshare is the best option from any others, like Cydia, app cake or installous akpendik.com because from these options you need to jailbreak your phone or tablet. From the jailbreak, your phone put into risk and you do not need to take risks to your phone because vShare will work without Jailbreak. If you want to know about the vShare then you must know that vShare is a custom app store which will let you install every apps free on your iPhone. 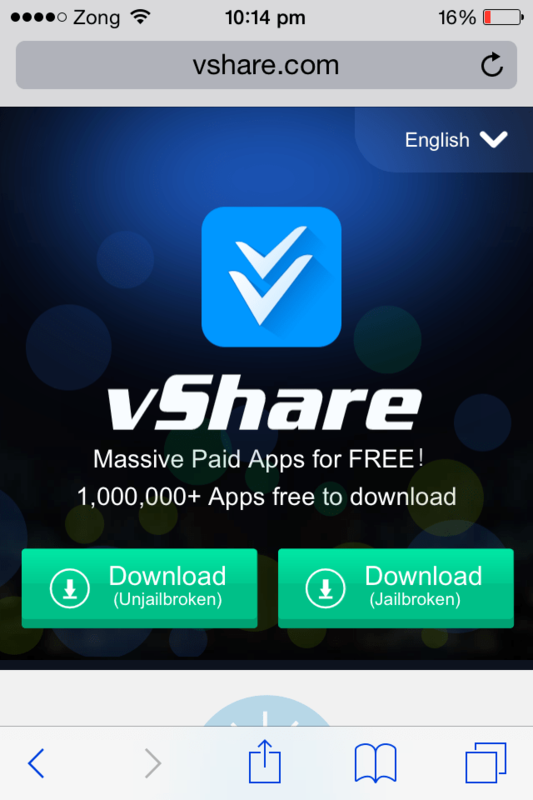 If you want free apps on your iPhone mobile or tablet then follow the instructions below from where you can download and install free vShare on your phone. Vshare itself is also for iPhone. First of all open this link in your iPhone or iPad. You can go to the www.vshare.com in safari browser. If the vShare official site is open then there will be two option to download vShare. Just click on the Download Unjailbroken. Then there will be a prompt screen will appear, now click on the Install option. 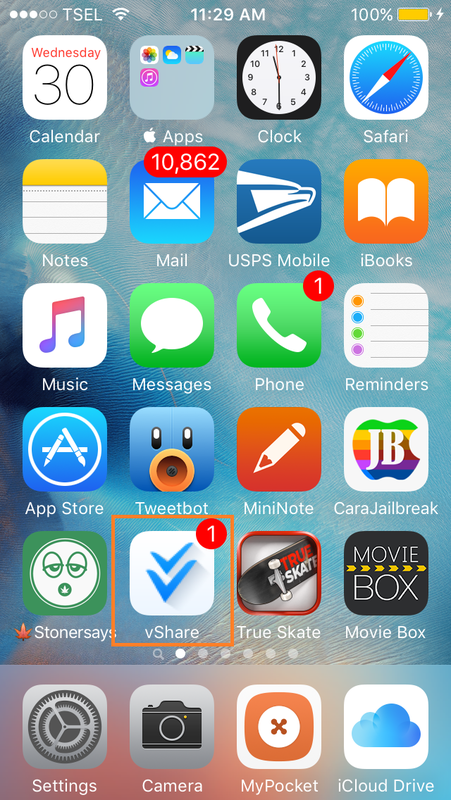 Now go back to the home screen from where you will see the vShare icon, which means that vShare is downloading in your iPhone. This will take some time and when the vShare installed then open the vShare app. This will give you a message ”Untrusted Enterprise Developer”. Read the message and remember the name after ”iPhone Distribution” in the first line. In the profile, search the name that was written in the message which is after iPhone Distribution. If you find that name, click on that name then trust and then Confirm. That’s it from your side. Now you can easily download any app which you want to get free for your iPhone. Just open the iOS vShare app from the app menu and search for the app which you want to download and get apps free. If you are satisfy from our tutorial then like and comment us below.